Who's on Kristen's Health Professional Wish List? Who’s on Kristen’s Health Professional Wish List? A few weeks back, one of our fave bloggers Peanut Butter Fingers posed a really good question: If you could have any sort of personal health professional, who would you choose? Since last month we talked fitness bucket lists for our Question of the Week, this time, we decided to tackle this slightly different twist on our wish lists. Read each Friday for our answers! Well, this is a fun question, isn’t it? There are so many possibilities, each with their own draw. Now, I already see a chiropractor fairly regularly, so while that’s certainly appealing, it’s something I’m able to manage without having my own doc on call. Same with massage; I do that less frequently, but, unlike Jenn, I don’t actually want to do it all the time. Massage is often pretty painful for me—beneficial and healing, for sure, but painful due to a lot of overly tight muscles and tendons—so, I’m good with going to see someone occasionally in their office. For me, it really comes down to the two places I need extra accountability, and that leaves me with food and exercise. I’ve worked with a coach quite a bit, and it makes an enormous difference in how regularly (and how intensely) I work out, but I don’t need someone right there with me to make the coaching effective; I just need to know that I’m going to have to report back on how I did on my bike ride. So, if I had my pick of a personal health professional, I think I’d choose a personal chef, too, like Erin. I eat much more healthfully when I’m not standing in the kitchen, stomach growling and left to my own devices. If I had a chef, it would be equally lazy on my part to request a super healthful smoothie as it would be grab a handful of chips or something. And, a personal chef (or, at least any personal chef I would hire) would have lots of great ways to prepare a variety of veggies in a light and healthful way, which would make dinner a total delight. Now, there’s one problem with this plan. My husband and I both like to cook, so long as we have time. But, isn’t that what the chef’s day off is for? I could watch and learn, and then jazz up my favorite recipes when it’s my turn in the kitchen. It’s basically perfect! I’d have a mental health professional on retainer! It seems I’m forever having issues with food plus a low-grade-fever-type anxiety and depression, which, of course, eating carb- and fat-rich foods seems to help “cure” for an hour or two. Exercise helps but it’s not the cure. I wish it was! I agree 100% with your post, Kristen! My husband and I believe that eating healthy is the biggest step towards staying healthy & being happy and productive. A personal chef is definitely our #1 health professional that we are keeping around. Unfortunately many people don’t realize how affordable personal chefs can be! 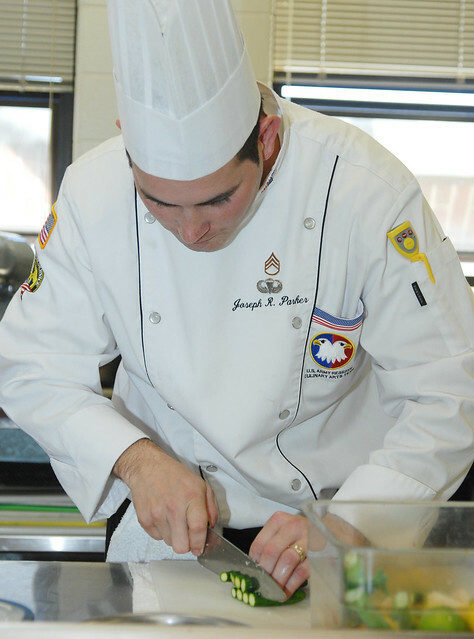 We work with experienced chefs but also culinary students who already have great culinary skills but at the same time charge very little for their services. Hardly anybody knows about this possibility.